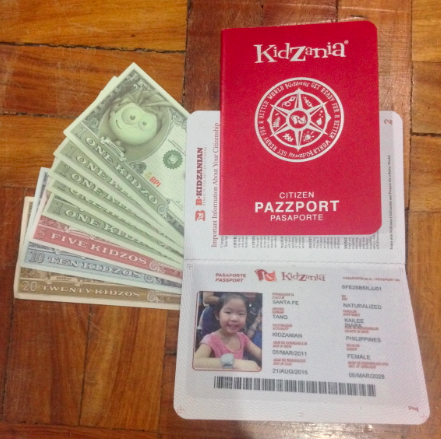 KidZania is here! 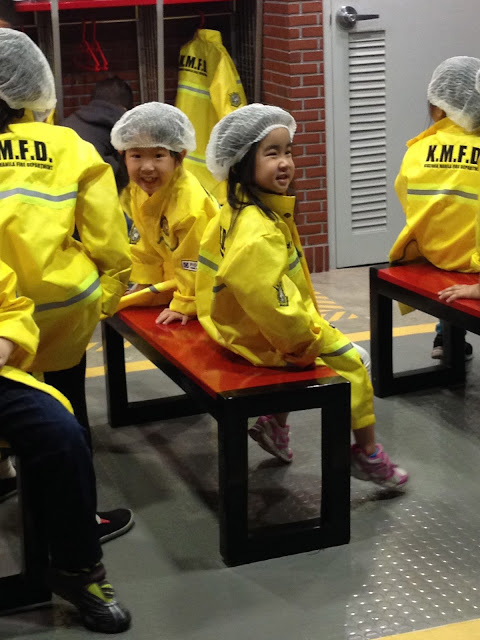 To tell you the truth, I had no idea what KidZania is all about. I had to google it when I head about it through friends last year. I thought the concept was really nice and I was sure to try it once it opened. 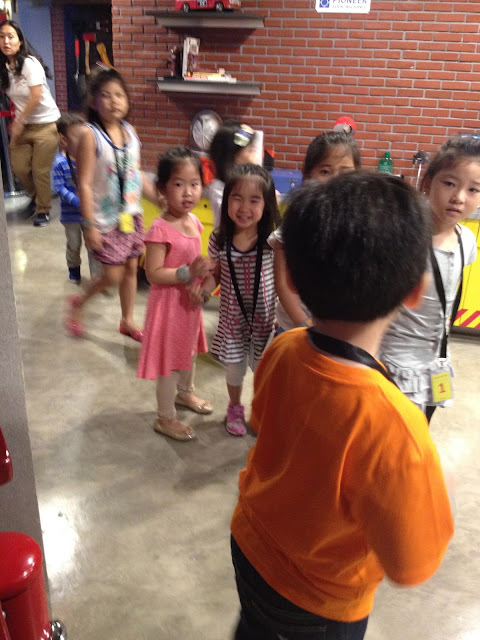 KidZania Manila recently opened its doors and everyone was excited. I was included. Hahaha! The thing was - I had no idea when I would visit, but I was sure that I would. My friend Kath, sent me a message inviting me to go with her since she bought her kids tickets. I went online and bought for Kailee and Connor on the same dates. Since we went on a *holiday* the rate was the same with that of the *weekend* rate which was a but more expensive with less time. We chose the 1st slot - 9:00AM to 2:00PM. I assumed that we wound be done by 1:00PM tops. A few days ago, my Panget decided that he wanted to tag along. Unfortunately, TicketNet was not selling them anymore - they've said it was *sold-out* Knowing me, I had to make sure. I called KidZania and asked. I was told that they are selling walk-in tickets, but that would be on the said date - and to go early - by 8:00am to be sure since at that time, they officially - open their ticket counters. I didn't want to take the change so I told Panget the situation, knowing him - he wouldn't want to wait PLUS if the tickets ran out, well - he will be fuming mad. Kath and I agreed to leave our houses at 8:00AM. I thought that would be more than enough time - I even thought we would be early. 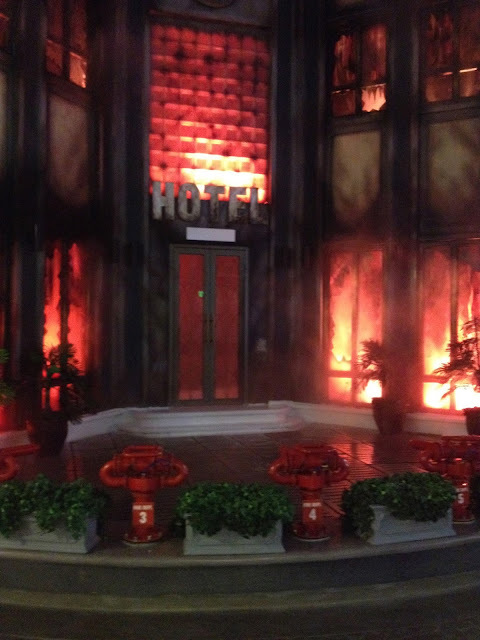 When I drove by the *lobby* of KidZania - I was so WRONG! I was over confident, apparently - patrons thought of the same thing. Hahaha!! I got to BGC at 8:30AM, but thing was - I had to go around a long way because of the parking entrance. It was really a hassle because it was a long way going around - I spent about 5 minutes more driving to reach the parking entrance. Plus the parking attendant was moving really slow because she was manually writing the plates numbers of the car and the time of arrival. 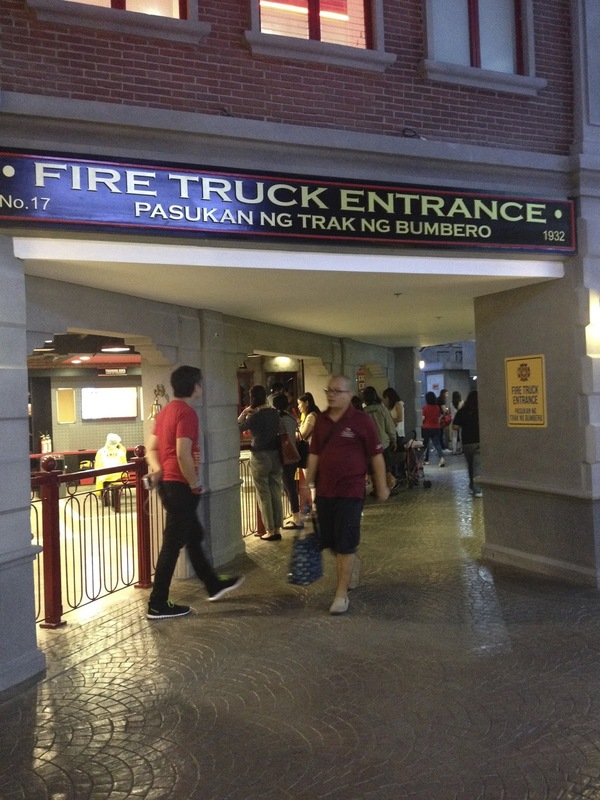 Once we parked, we rode the elevator up to the ground floor and walked to the KidZania lobby. OH MY GOSH - what welcome me were endless lines. Mayhem. Chaos. Adults, kids, yayas, were everywhere only a few knew what was going on. 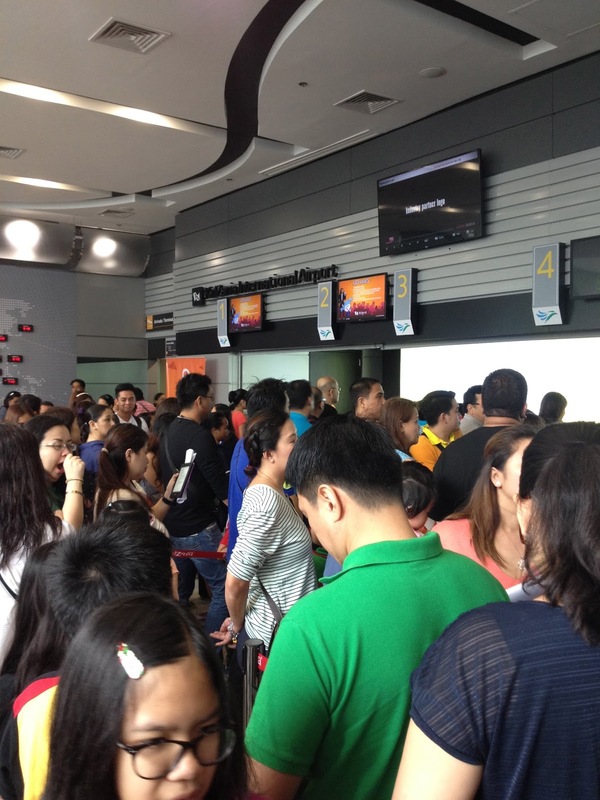 The lobby or check-in counters were all filled up with and the people just keep coming in. It was LITERALLY, the real Cebu Pacific experience. Imagine the lines you see at the NAIA Terminal 3 - THAT is exactly what you will get - it was getting hot, people were irritated, lines were moving so very slowly and there are VIPs that cut in line. Argh. Total chaos. It took us maybe 30minutes to get ourselves tagged. This part of KidZania I think needs improvement. They should specify which lines are which with signs and staff going around. But then again, it was so very crowded so I guess the staff won't be able to go around. Nonetheless, there should be signs and clear cut procedures to be done. Kath and I were confused - we had no idea where the line was or what to do. Another issue for me was those of us who prepaid the tickets - those who personally went ahead of time to purchase their tickets and for us who relied on the internet to get tickets. Mind you, we all had our print outs and receipts prepared. How I wish they just had a special tagging section after checking-in. The Cebu Pacific staff was also *in character* because she was moving so very slowly - AND she was explaining to a 4year old kid what to do with her BPI check - she was so focused on Kailee. I doubt Kailee understood what she meant! I had to tell the Cebu Pacific staff to explain to me since I was right beside Kailee. I mean, if the parent is there - you can tell the parent. I can only guess that part of her job was to be *in character*, hahaha!! Once we got tagged - it was a breeze. Well, we did go to the PaZZport section, and for the sheer number of customers - there were only two (2) - yes, two counters servicing us all (they had four but they were only opening 2) I had to tell one of the staff to add more people behind the counter to help in facilitating the PaZZport activity. I was told *Nalate lang po yung mga in charge* There was no clear line for those who registered online. It was quite confusing actually, but the the lady that assisted me and Kath, was quite fast and very pleasant. If you registered online, all you need to do is print it out a copy. I didn't hand her a copy because I chose the *pick up on site* when I registered. All you need to give them is the name of the parent and all the kids that you registered will come out of their system. Each kid will need to have their pictures taken, it takes about 3 minutes tops, if the person behind the counter is fast. She types in the names, takes the picture of the kid and will ask you if it's okay (you can repeat if you're not happy with the picture) wait for the sticker to get printed out, stick in on the passport, bring out another sticker for the *lamination* effect and voila! It's kind of tedious and manual - but I assure you, it's worth it to get your kids PaZZports - your kids will earn extra KidZos when they work. They also get discounts in those booth activity with pay. Our first order of business - the Fire Station. We had to line up, though it was nice and very organized - the idea that the kids should wait in line for 40minutes is quite hard to do. When we got there, we were already on the 3rd batch. It's quite organized because they had lanyards with number and corresponding batch numbers. Kath's friend Cham told us to feed the kids while they were in line. When Kath and I started to feed our kids - the other parents, quickly followed suit. I mean to wait for 40mins? That' very very long. Kailee couldn't get out of the line or else she forfeits her turn. I argued that we would just be on the place across the Fire Station but they were strict that way (the idea was that if other kids were willing to wait, then my kid should be willing to wait) and I respect them for it. The staff - I must say exercise patience. OMG - they were really patient with the kids and adults alike. Hahaha! I reached another level of respect for them. Wow. But before we could start with out KidZania experience - Kailee had a meltdown - yup. Right in the middle of her turn in the Fire Station. Suddenly, she cried and screamed and stomped her feet. She said she was scared, so I told her that I wasn't forcing her to be a fire(wo)man. I told her that if she was scared, we should give up her lanyard with number to another person. But she refused to give up her number - and talked some more. I explained it to her more than 10 times what the lanyard with number was for - but she refused, I mean refuuuused to take off the lanyard. I think I was losing my patience already, I was irritated, tired and you know the feeling that you waited so long for their turn then a crying, hysterical child, MY child, becoming hysterical and fearsome? Oh my goooosh, I will never wish that upon anyone. I think we argued for about 20minutes. 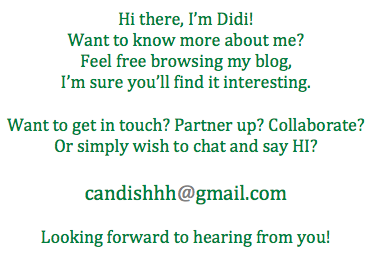 It was very draining to be honest. The staff was very nice to tell us that they will accommodate Kailee in the next batch if she decides to join. Thank goodness for the big heart of the staff! What I did next to was hold her hand and follow *her batchmates* around KidZania. When they rode the firetruck - we followed them (we walked behind the truck). It was quite crazy because seriously - I think there is something wrong with the hotel - for it to be burning down every 30minutes! Just kidding. Hahaha!! So there, we followed them around and Kailee saw what they were doing. After taking out the fire - Kailee told me that she wanted to do it. Thank goodness! When we were walking back, I saw my friend Startupbabies, waiting in line - her daughter belonged to the next batch. I asked her daughter C if she would hold Kailee's had because Kailee was afraid. I swear to you, Kailee suddenly felt comfortable and was at instant ease. Thank you C!!!! Finally, Kailee inside the Fire Station. Finally!! Here she is, with her new friend C! Kailee wearing her Fire Station gear. I like that they make all the kids wear disposable caps. This is for sanitation purposes, so that things can me avoided. One thing I can think of is *lice* infestation. This is a great move to help *contain* it. KudoZ to the staff of KidZania! Kailee and C seated while waiting to be briefed! Here is Kailee riding the Fire Truck! Go Kailee go! This is the hotel is (constantly) on fire! Hahaha!! Here is Fire Fighter Kailee doing her best-est to put out the fire!!! d) Go to your assigned counter to claim your bracelets and KidZos. DO NOT cut in line! Have respect to those around you. h) When you've earned enough - go to those *Paid* booth and use your KidZos! I think I'll wait for Z to be a bit bigger when we go! I can't wait 40 mins!!! Haha! Can't wait to see more pictures! 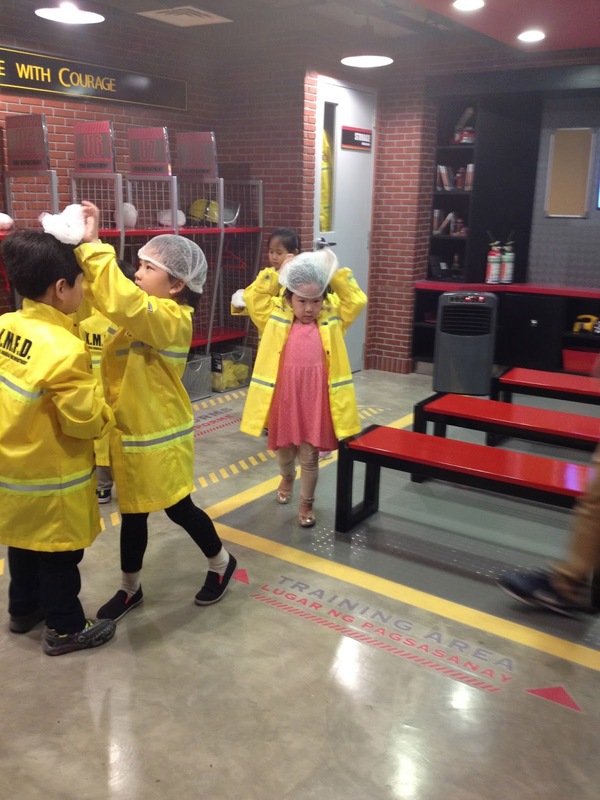 Wow, Kidzania is very popular in Dubai and it's always a struggle if going on weekends.